Qahwah is the Yemeni word for coffee, a beverage that originated in Yemen and has been enjoyed since the middle of the 15th century. It made its first appearance in the Sufi shrines of Yemen where the beans were roasted and brewed in a fashion similar to modern preparation. 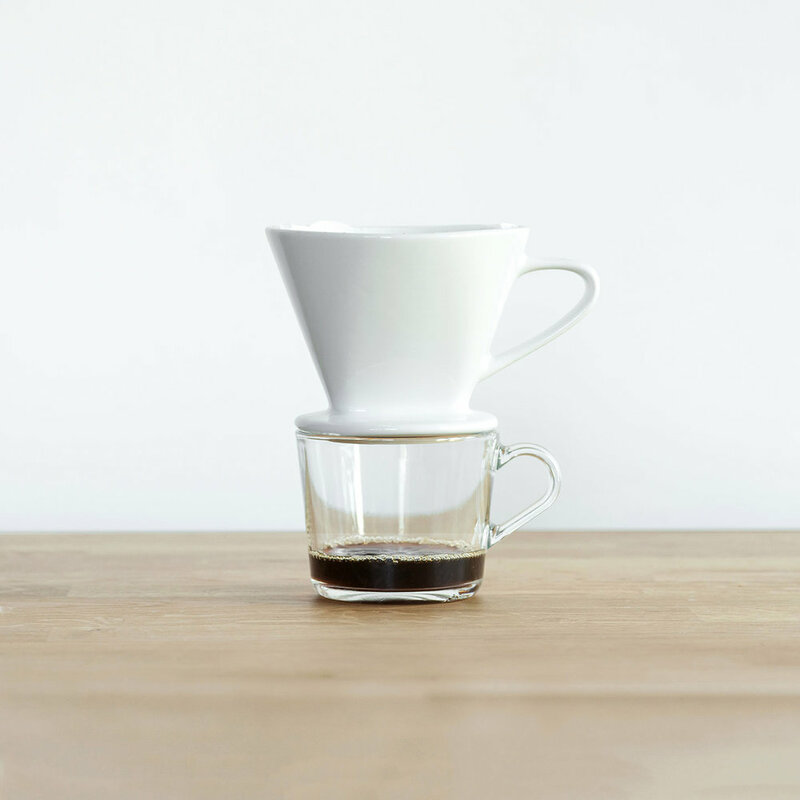 Add ground coffee to the rinsed filter and gently shake to settle the coffee bed. Pour and fully cover the bed with 100g of water. Start your timer. Stir the bed so that all the grounds are evenly wet. After stirring, let the coffee sit until the timer reads 45 seconds. For the next minute, pour in 350g of water in a circular motion, starting in the center and moving outwards. Once you reach the edge, circle back towards the center. Pour at an even rate. Let the water level fall, but before the coffee bed is exposed, add the remaining 350g of water, pouring in the same circular motion for one minute. When the brew is complete (about another minute), discard the grounds and swirl the coffee. Pour and enjoy.